Last week, the Backstreet Boys dropped an album release date, a new single, a new music video and dates for their 2019 world tour. This week, performances were performed, tv appearances and magazine articles appeared, and tickets went on sale worldwide. The DNA era has officially begun! - If you’ve been on social media this week, it’s no secret that tickets for the BSB DNA Tour have gone on sale worldwide (with a few dates already selling out). Get yours now and stay tuned to backstreetboys.com for VIP upgrades at a later date! 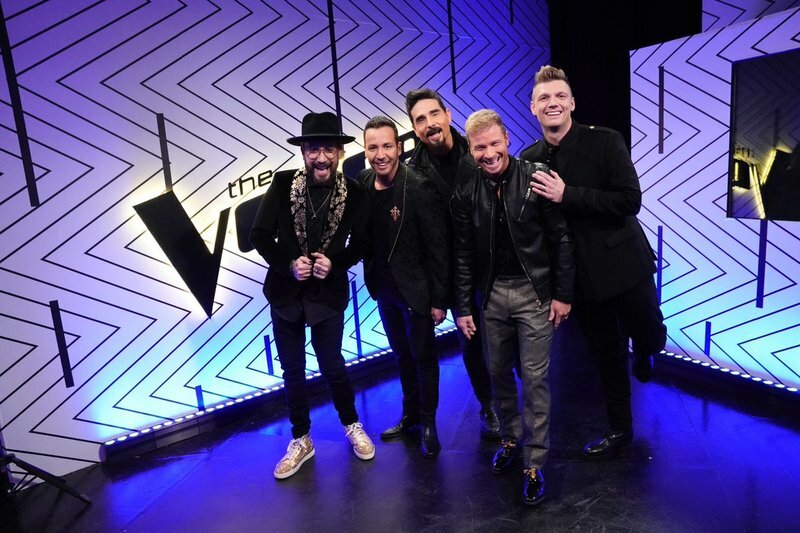 - After releasing their new single “Chances” and the music video (which garnered over 4 million views in 72 hours), Kevin, Brian, Howie, AJ and Nick made their television premiere performance of the song on NBC’s The Voice. If you missed it (or even if you didn’t), watch it here. They also reunited with an old friend you might remember! - As the Backstreet Boys prepare to leave their Vegas residency and head back out to visit fans around the world, they won’t be alone! Check out everything they had to say about bringing 8 children on tour (and the adorable family photo) when People visited them in Las Vegas. - The Boys sat down with Ashley Iaconetti to chat about the upcoming tour, album, single and play a game of Chances with each other. You definitely do not want to miss it. ODEntertainment also has a 3 part interview with the fivesome that they are tweeting out - find the first part here. - Continuing to spread the word about DNA, the Backstreet Boys stopped by The Ellen Show to talk about tour, play Never Have I Ever, perform “Don’t Go Breaking My Heart”, and surprised Emily Blunt with an impromptu duet! - Can’t wait until tour? You can catch the Backstreet Boys at All Star Christmas in Uncasville, CT or the Merry Mix Concert in Austin, TX. There’s a lot to be thankful for this holiday season and the new year is going to bring so much more! The BSB DNA is beginning. Are you ready for it?